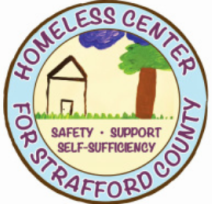 The Homeless Center for Strafford County provides safe, emergency shelter to homeless women and families (including men with children). The Center primarily serves Strafford County NH but has also supported families from Eastern Rockingham County NH, and Southern York County, ME. In addition to emergency shelter, the Homeless Center provides case management services and groups/classes on topics including nutrition, parenting, resume writing, and job search/interviewing skills. ARE YOU HOMELESS AND IN NEED OF SHELTER? If you need shelter immediately, please call Coordinated Entry at (603) 435-2448 or simply dial 211. ​ All homeless shelters in Strafford and eastern Rockingham County and southern York County in Maine use Coordinated Entry to screen and intake shelter candidates. For assistance after hours, on weekends, and on holidays, please call the statewide homeless hotline at 211 from a phone with a New Hampshire area code. DO YOU NEED HOUSING ASSISTANCE TO AVOID BECOMING HOMELESS?